It’s All About Substitution, Right? Day 11. I stuck to my calorie count today. I did not eat into my burned exercise calories, even though I was ravenous when I got off the train home because I worked a little late and didn’t have an afternoon snack today. I was thisclose to picking up takeout – yummy, delicious, saucy 1,000-calorie takeout. But no, I went home, made some quickie marinade and grilled my chicken tenders. Topping off my 1,400-calorie day with the last bit of protein I needed. And with a glass of rosé, of course. 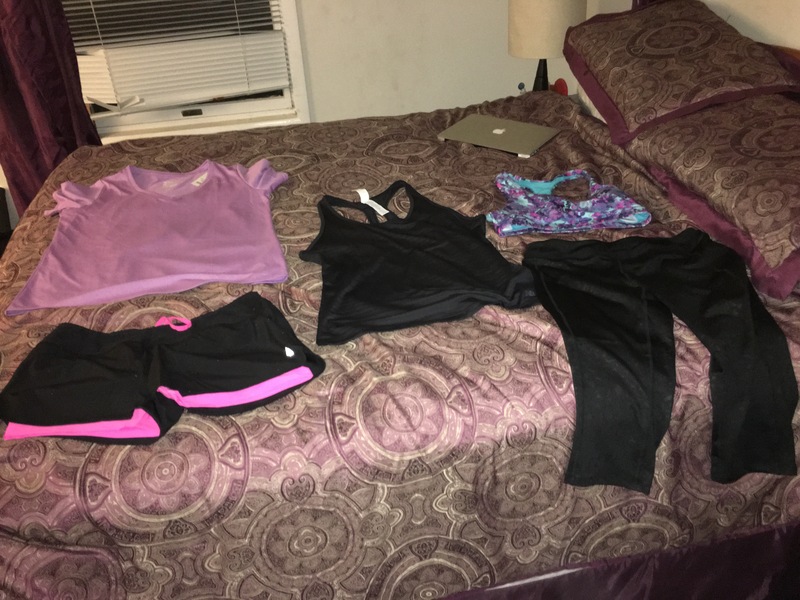 So I got myself some new workout clothes instead of more food or dessert. I have made do with my five-years-old, two-sizes-ago gear but I’m hitting the point where I need a little more motivation. And I can’t keep tugging back down the hem of the only sleeveless running top I had as it repeatedly rolled up my expanded tummy. I accepted the size on the new clothes because I know it’s more about being comfortable than those numbers, even as I believe I won’t be in them for long. Bought them on the cheap at Marshalls. And they all fit (though I’m not ready to run in the shorts yet). I’m gonna be so cute in the morning.